Home » Movies » Great Music Chapter 32: You Can’t see Heaven in this Life, but Sometimes you can Hear it. Great Music Chapter 32: You Can’t see Heaven in this Life, but Sometimes you can Hear it. For this week’s Great Music article, I was wandering around YouTube, looking for a good video of this particular piece of music when I came across a video of the Trans-Siberian Orchestra playing Canon in D. This video includes a vocal arrangement sung by a children’s choir. I am an absolute sucker for anything that involves children and music – so I had to choose this one. The Trans-Siberian Orchestra is famous for their Christmas shows. If one comes to your area – DO NOT MISS IT – they are unbelievable. Even if you are not a Christian, you will be moved. Their fusion of hard rock and classical music is definitely unique, even if it is not to everyone’s taste. The title to this article comes from one of the comments left on the YouTube site – truer words have never been said. 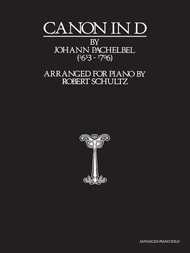 Canon in D is a very old piece of music penned by Johann Pachelbel somewhere around 1680 although the original transcript has never been found but was scored only for 3 violins and a bass. Pachelbel was born in Nuremberg, Germany in 1653 basically writing music for Chamber groups popular with Baroque musicians of the day. Most of Pachelbel’s music has been lost to the dustbins of history. Pachelbel may have had his greatest impact on the musical world by teaching the older brother of Johann Sebastian Bach who became the famous Bach’s teacher. Canon In D would have met a similar fate as the rest of Pachelbel’s music – undiscovered except for a couple of lucky happenings. When I was young, no Classical musicians ever played anything by Pachelbel. It was in 1929 when an American music editor changed the dynamics of Pachelbel’s Canon and added more harmony that some Classical musicians took note of the piece. However, it was not until 1980 when the piece was featured in the movie “Ordinary People” that it truly became popular and is now a fixture in Weddings and Funerals across the world. In my piano teaching just about every student learns this piece of music. When I drag it out, I call the piece “Rifle” and the student looks at me somewhat confused. They know something is not quite right but they can’t put their finger on it. I gladly then tell them, isn’t a “Canon” just a big “rifle” After a few tentative giggles it leads to a discussion of what a Canon, as a musical form, is all about. In music a canon is an imitative melody on top of the primary melody but not in the same sequence as the original. In effect it becomes a counter melody harmonizing with the original melody but layered on top of it.